Whenever we see a new tote bag at Prada, we get excited. We think about all the previous tote bag that they have designed, because they were so pretty. For the Fall Winter 2017 Collection, there is another fresh and interesting handbag that you must see. It’s called the Prada Box Tote and it’s something you’ve never seen before. 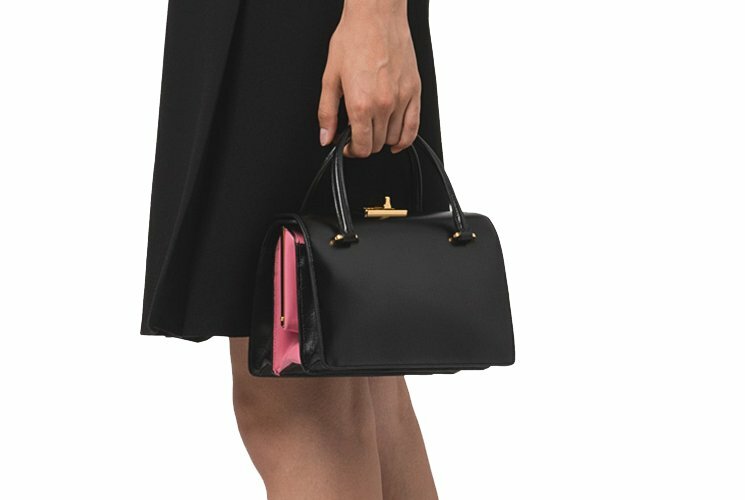 Recently, Prada has been releasing a lot of ‘box’ and ‘trunk’ –inspired handbags. Just look at their Micro Box Bag. The new Prada Box Tote is chic and streamlined. It’s designed with smooth and curvy body. 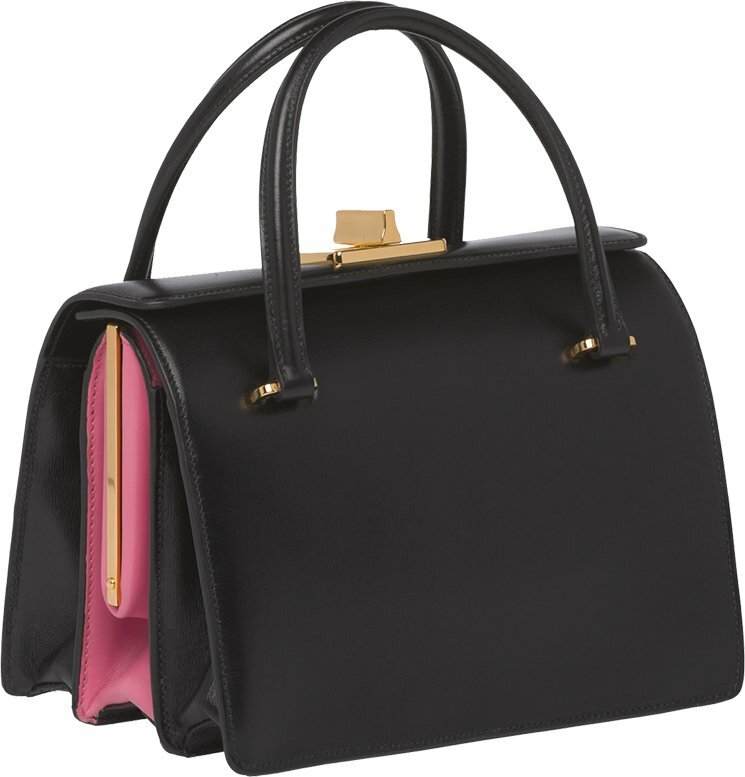 The look is a mix of a tote bag and a minaudiere as it features a rare turn-lock closure. The sides remind me of the Frame Bag, which is solid. The top comes with two long double handles and there is logo engraved on the clasp. The sides also showcase the color of the interior and it’s refined with a golden plate. 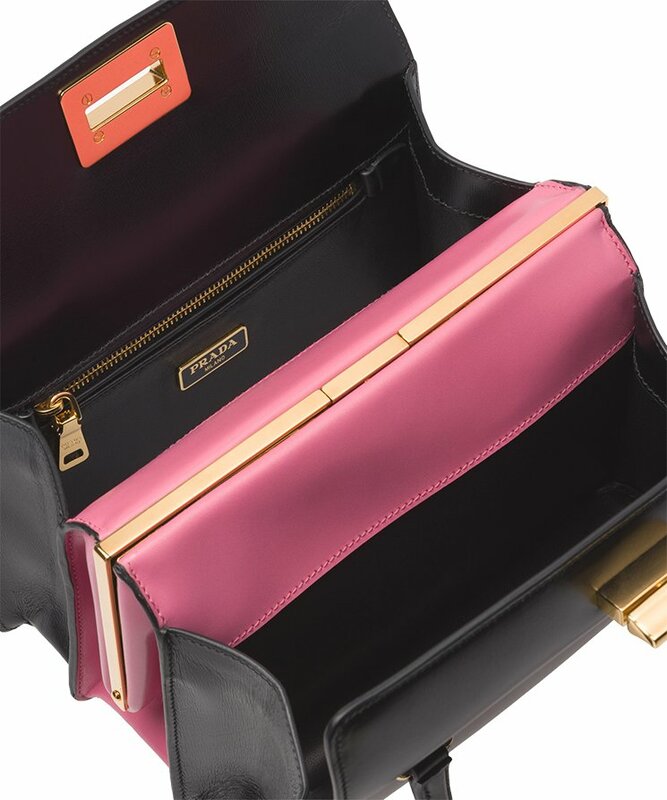 The bag opens like a cosmetics box – when it’s open it will reveal all the interior. Inside you will find three pockets including one with a zipper closure. The center pocket is crafted with a spring hinge closure (like a clutch or minaudiere bag). It’s quite unique considering how its put together. 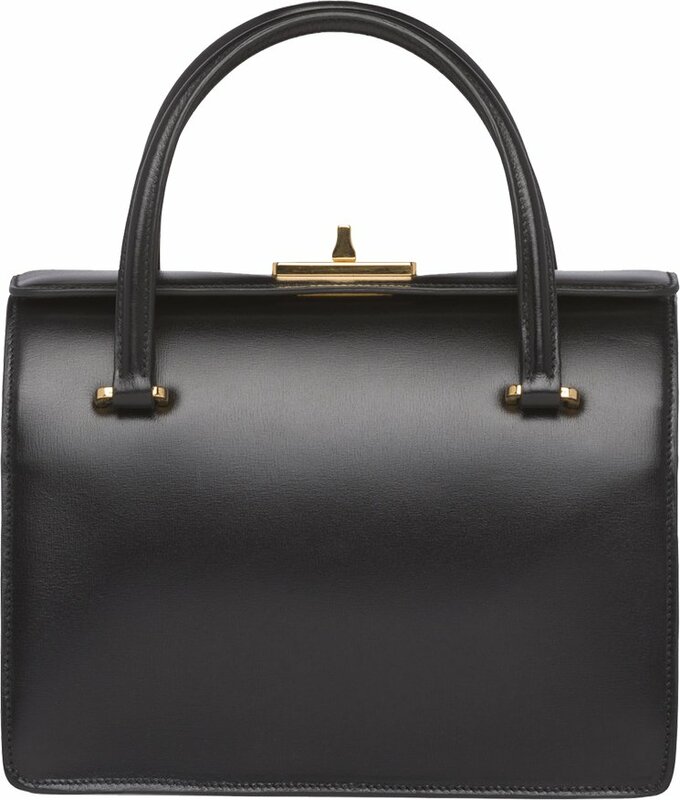 Measuring 20.5 x 14 x 13 cm, priced at $4450 USD, €3100 euro, £3050 GBP via Prada boutiques.